Building Communities - Agracel, Inc. The small town market is one that many developers ignore. Not Agracel. As an Industrial Development company that focuses on developing projects and creating jobs in small rural towns, Agracel has created a unique model in the industry. Agracel works to provide the solutions to meet the real estate needs of the communities and the companies looking to locate in those communities. 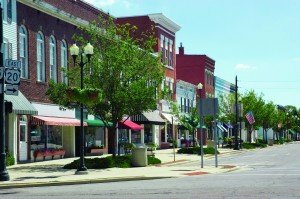 Certain aspects of the development process are more favorable in small communities. For instance, there generally is more flexibility and expediency in regard to permitting and assisting in the development process in non-urban towns. Metropolitan areas and larger cities typically have more rigid processes and timelines or permits to be granted. Also, costs to develop projects, including real estate costs and construction costs are generally less in Agurban® areas. Ag-urb® (ag urb), n., prospering rural towns with a tie to agriculture, a location outside a Metropolitan Statistical Area (MSA), experiencing growth in population, and/or employment that is sparked by vision kindled by strong leadership and stoked with a can do attitude keeping the fire of growth burning bright.